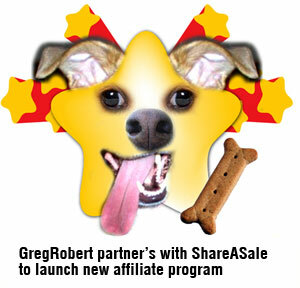 GregRobert Pet Supplies Chooses ShareASale Affiliate Platform- CLICK HERE! Who is NOT looking for a couple of extra bucks these days? If you own website that is related to home, garden, pet, tools or farm - there just might be a solution for you to monetize your website while adding to it's traffic. Anna loves to garden and is a wild bird hobbyist. She manages a blog dedicated to her hobbys. Over the years she has tried to monetize her traffic, but when she uses adwords, too many off-topic ads show up and it is a constant challenge to find good matches. She reads about GregRobert's wild bird products and decides to give it a try. Three weeks after she put "GregRobert's Wild Bird Widget" on her blog side bar, she gets her first sale. This motivates her and she add's a "Bird Bath DeIcer Widget" to one of blog entries. This immediately gets her a commission and she is hooked. After a few months of trial and error she manages to develop an income from her writing. She is so hooked that she started her second blog this week! Tony has owned Lizard Luverz Lounge for seven years and membership is in the thousands with daily active users talking about their slithery pets. Tony tried opening a store on the site a couple of years ago - but the constant customer service, returns and product price increases caused him to give up after a 6 month stint. Tony heard about GregRobert's partnership with ShareASale and the "Make a Page" feature. He could make a hand-picked page of reptile and lizard products to refer to his members and make earn a 7% commission on the products. What really convinced him was that his customers could buy the products for less than he was getting charged when he had his own store! Win-Win. Tony sells so many lizard products six months after starting with GregRobert that he is now up to 9% in commissions! Happy selling! After you signup for the pet supply affiliate program, come on back and tell us what you think! List of Major Household Appliance Repair Parts- CLICK HERE!